Back in January this year, I conducted a survey about lab-grown meat, asking my readers and people across the internet how they felt about this new and controversial development. Perhaps surprisingly, a massive proportion of meat-eaters were enthusiastic about the idea, with 81.9% wanting to try it. 47% of vegetarians and 33% of vegans wanted to try lab-grown flesh, but even those who did not want to try it were still supportive of the idea. Overall, the majority of those surveyed showed overwhelming support for lab-grown meat. But back in January, the prospect of lab-grown meat becoming a household name seemed distant. "Essentially, SuperMeat is real meat, but it's produced in a lab. This means animals do not need to be farmed and killed for SuperMeat to exist." Now, SuperMeat has stepped onto the scene, and the concept of a world without factory farms seems closer than ever before. With a month left in their Indiegogo campaign, SuperMeat has raised over $150,000 USD to fund their "meat machine" prototype. We were looking for the best way to end animal suffering, but also be realistic about meat eating habits. Together with Prof. Yaakov Nahmias, an award winning biomedical engineer at the Hebrew University of Jerusalem, we've been developing a system for producing cultured meat. That means growing REAL meat, non GMO and without antibiotics in machines in supermarkets and communities all over the world. Essentially, SuperMeat is real meat, but it's produced in a lab. This means animals do not need to be farmed and killed for SuperMeat to exist. SuperMeat is eco-friendly and humane. On top of this, its creators believe SuperMeat will help fight world hunger, claiming that by 2050, there won't be enough livestock left to feed the world's 9.6 billion humans - but there will be enough SuperMeat. Only one single chicken is needed to collect the cells, and this chicken will not be killed or harmed in any way. Because of the way SuperMeat is produced, it will be much cheaper than meat as we know it today. As an added benefit, because SuperMeat is grown under supervised conditions, it will be healthier, too. Most importantly, no animals will suffer for SuperMeat, and the problem of food scarcity for people in underprivileged communities will lessen. The creators of SuperMeat have a specific timeline set in place. Founded in December 2015, the company plans to build its first prototype in January 2018, begin production in April 2021, and make the product publicly available in July 2021. That's only five years away. A cruelty-free world is so much closer than we could have ever imagined before. 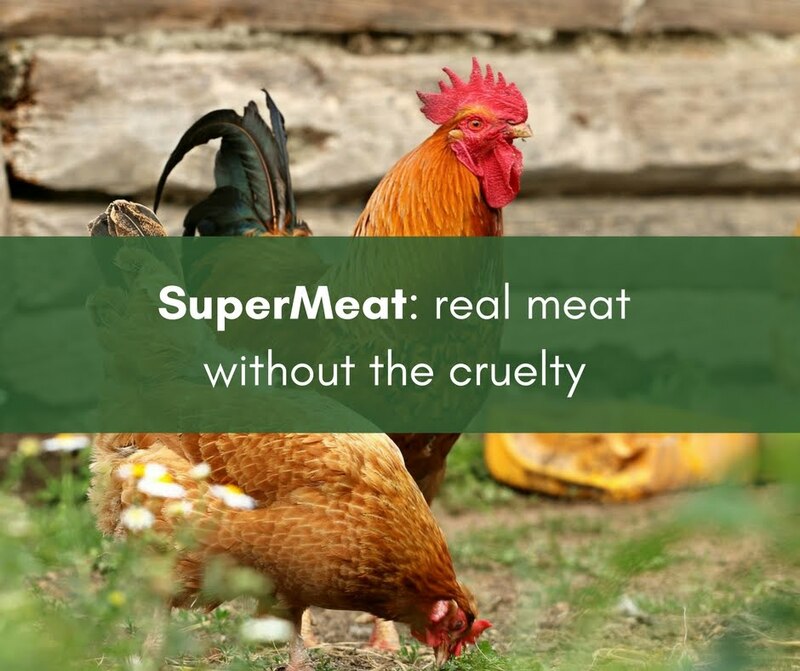 If you would like to support SuperMeat, please share this article or donate to their Indiegogo campaign at this link. 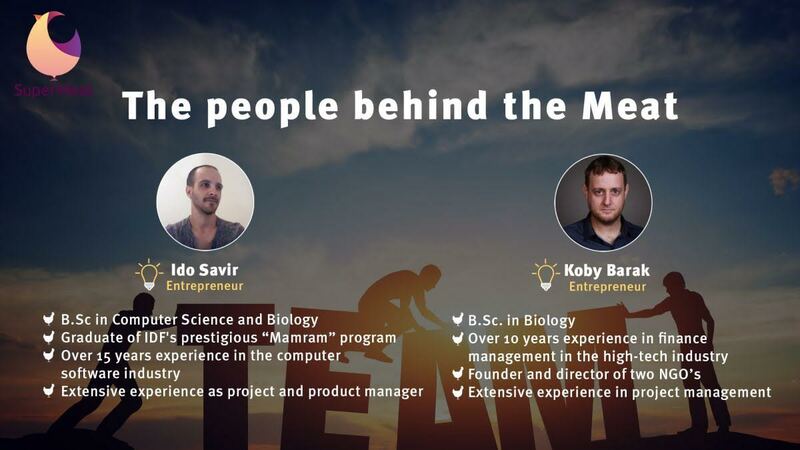 You can also follow the project on Facebook and Twitter. 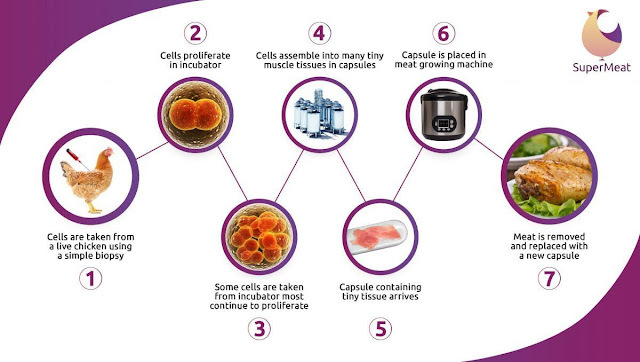 Feel free to leave your opinions and ideas about lab-grown meat in the comments below. 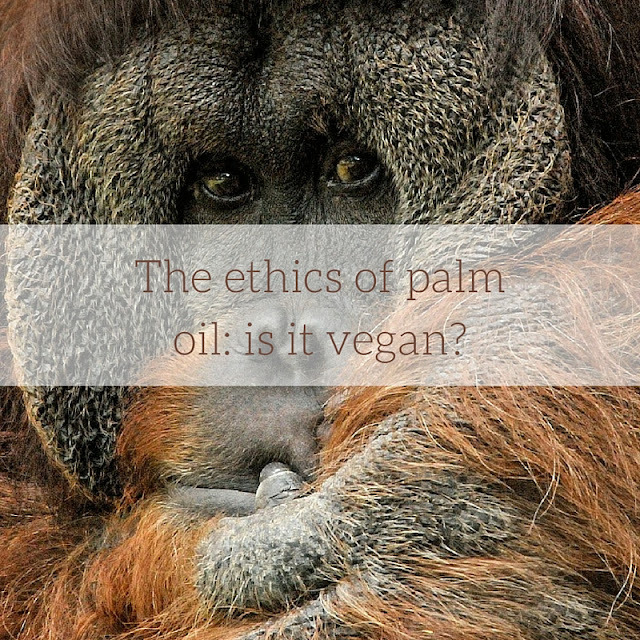 The topic of palm oil is one that often divides the vegan community and causes heated arguments and discussions. I see it all the time on Facebook. Whenever somebody posts a picture of, for example, Oreos - which are technically vegan, but contain palm oil - you can expect a burst of outrage in the comment section about the ethicality of palm oil. These comments usually end up being deleted. Technically, palm oil is vegan - but only so long as we follow the standard definition of veganism. According to dictionary.com, a vegan is "a vegetarian who omits all animal products from the diet", and/or "a person who does not use any animal products, as leather or wool." By this definition, palm oil is vegan, since it is plant-based and is not derived from an animal. But let's look deeper. The dictionary.com definition only scrapes the surface of what veganism is about. Personally, I follow the Vegan Society's definition of veganism: "a philosophy and way of living which seeks to exclude—as far as is possible and practicable—all forms of exploitation of, and cruelty to, animals for food, clothing or any other purpose; and by extension, promotes the development and use of animal-free alternatives for the benefit of humans, animals and the environment." In short, veganism is a philosophy and way of living which seeks to exclude exploitation of and cruelty to animals. Veganism is, according to the Vegan Society, about much more than simply eliminating animal-derived ingredients from our diets and clothing choices. 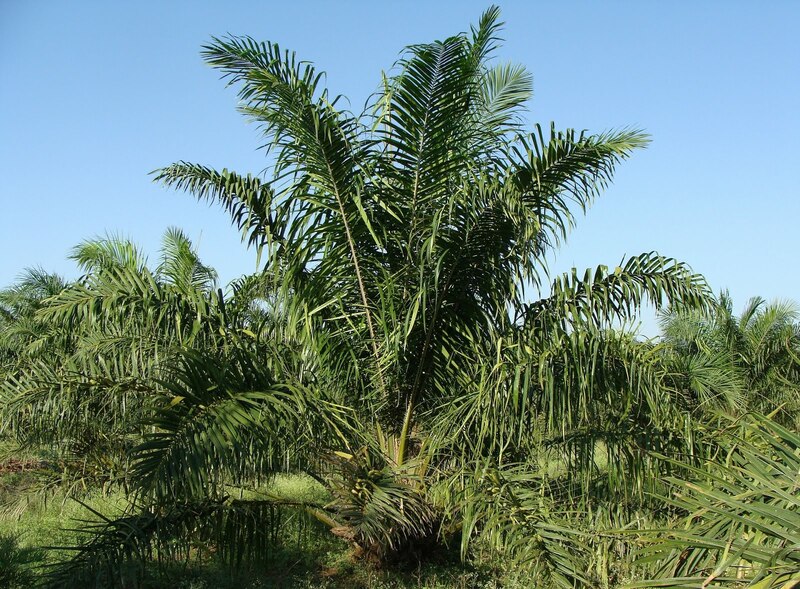 "Palm oil, as we know, is often collected through unethical means, and palm oil production is known to cause damage to the environment and to destroy animal habitats." I consider the Vegan Society's definition the most accurate because the founder of the society, Donald Watson, actually coined the term "vegan". Who could be more qualified to define a word than the creator of the word itself? So, if we follow the Vegan Society's definition, veganism is about, as much as is possible and practicable, making ethical choices in every aspect of our lives. And palm oil, as we know, is often collected through unethical means, and palm oil production is known to cause damage to the environment and to destroy animal habitats. Most commonly, palm oil production is associated with the habitat destruction of endangered orangutans. According to Wikipedia, human activities have caused severe declines in the populations and ranges of both Sumatran and Bornean orangutans. Habitat destruction is one of the three largest threats to both species. "So, while palm oil is certainly a plant-based food, I personally think that unethically sourced palm oil cannot be included in an ethical diet." So, while palm oil is certainly a plant-based food, I personally think that unethically sourced palm oil cannot be included in an ethical diet. It's as simple as that. Of course, there are many vegans who do consume palm oil, and while I encourage them to seek out alternatives, I do recognise that different people follow different definitions of "veganism". If you are interested in cutting out palm oil from your diet, there is a very useful app from Palm Oil Investigations. The app can be downloaded here. Keep in mind that it may not be available in your country yet -- in this case, you may like to donate to Palm Oil Investigations to help them raise funds to expand their app. One Green Planet offers a very helpful list on their website, found here. The list gives information about vegan brands that use and do not use palm oil. Please, next time you do your grocery shopping, keep this important information in mind.